Teach Love Laugh: What's in a Name? Congrats on your new position!! I was wondering where you've been!! All of these new names sound great:) keeping the grade level out of it is a good idea. The way things change all the time, you just never know where you'll end up. Hope you're having a great summer!! 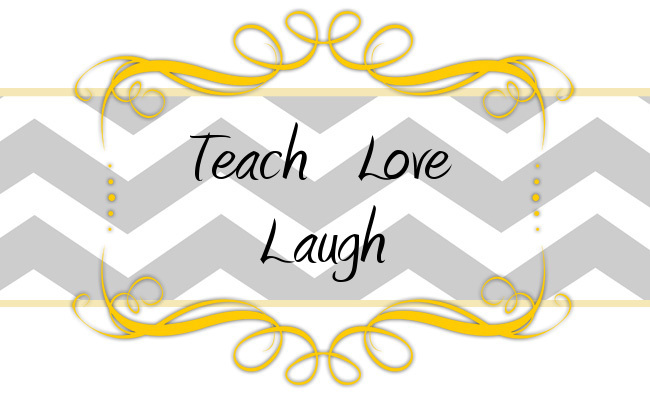 I love Teach, Love, Laugh!! We do all those things everyday! We are passing along the One Lovely Blog award to you, check out our page to get it. You are so right, we do do all three of those things daily! I think that might just be the new name of this lil' blog. And thank you so much for the award, girls! You are both too sweet! I like Teach Love Laugh! !